Anna Bordelon: I am Anna, and I am a writer. Thank you, Delilah, for letting me contribute to your blog. I am Anna, and I am a writer. I write all the time and am published in non-fiction – not in what I want to write. I love to write romance, with a Happy Ever After (HEA), a good handsome hero, a smart heroine, and an entertaining villain who gets his/her comeuppance. Not having a published romance – not yet I mean – does not stop me because, quite frankly, I am a writer – a romance writer. Whether I am tired or dealing with the kids, or even if I am simply not in the mood to write… I am still writing. A story will come at me no matter what I am doing. I am currently editing two books, with another five calling loudly for my for attention. 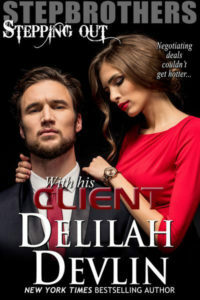 I joined Romance Writers of America because I wanted to be a better writer, and I have become one through practice, exercises, seminars, my chapter’s group writing meetings, and courses like those taught by Delilah. I study writing, grammar, plot lines – even the “eight-scene three-act plan”. 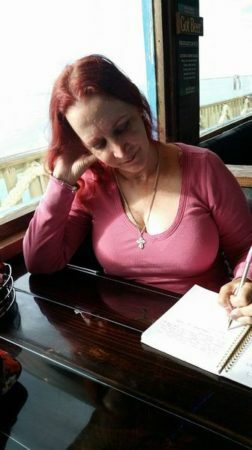 Amazingly, I am able to take so much of what I have learned trying to improve my romance writing, and apply it to my non-fiction writing, also known as my “day job”. Using what I have learned from writing instructors, we now have Standard Operating Procedures (SOPs) that are clear, very easy to follow, and keep employees interested. Having been forced to use dull SOPs in the past, I take pride that my writing helps others, even though I wish I were writing my romances. My “day job” allows me to watch and interact with people, observing their actions and interactions. Using what is probably too much of an analytical view, I will look at the people in a room and try to do a quick demographic outline, then compare that to my city’s statistics. I also make notes to include what a location really looks like, and how hard it is to both get there and park. I use these observations to build interesting characters, and the location descriptions to help move the story forward. Another thing I have developed from learning to write fiction, is the “what ifs” of people and situations. Writing “what ifs” helps us develop questions that shake up the interviewee and get them speaking. Developers and programmers can be very factual, and tend to use “yes and no” answers, when I want to hear about their passions. “What ifs” have become a standard interview tactic that has resulted in our company hiring the best “fit” from the candidate pool. On a side note, I helped write one of our engineer’s engagement speech; it was super romantic and his fiancé loved it, but it was, alas, more non-fiction. I need to go back to work and write something new. Please know that no matter how many hours I work per day, even mostly writing non-fiction, I will write at least a little romance. 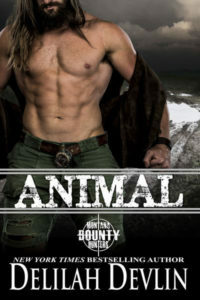 One day, I will say, “Yes, I have three romance books out.” For now, I’ll continue to take courses, like those taught by Delilah Devlin, and use all I have learned – because I am a romance writer.